Juno Lighting 441SQ series Low voltage adjustable downlight trim of 4-inches, is square in shape and has die-cast aluminum construction for added durability. This lensed trim features a perimeter frosted square glass lens and push-in springs for simple installation and perfect alignment. It supports 50-Watt MR16 lamp for energy efficiency, superior color rendering and long life. It is suitable for use with IC44N, IC44N W, IC44N S, TC44, TC44 V, TC44 S and TC44R housings. 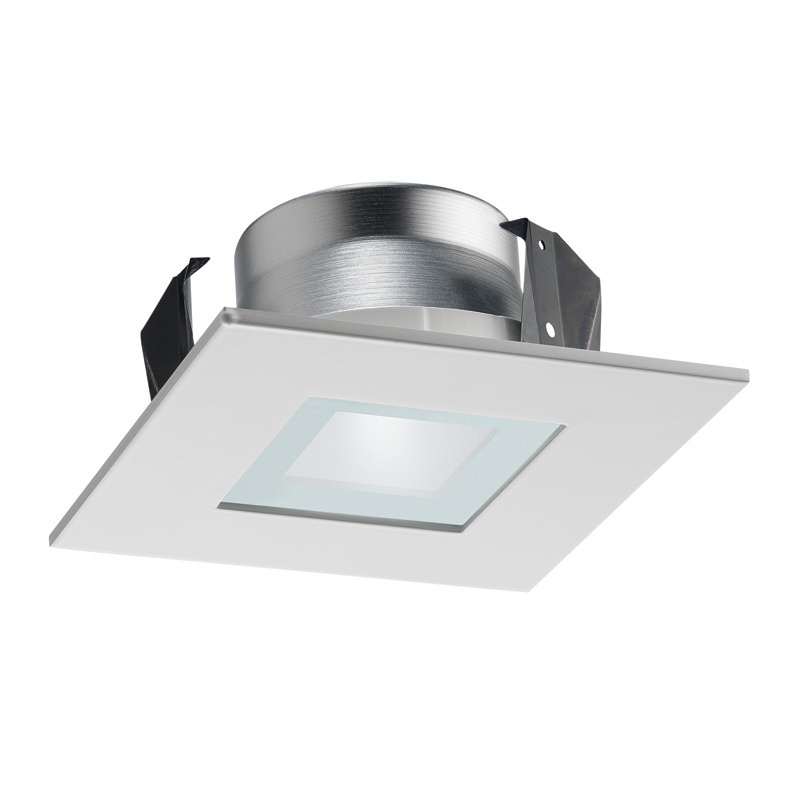 Adjustable downlight trim meets CSA wet location and UL wet location standards.